With a stylish and contemporary design and a beautiful back drop, no guest could fail to be impressed by this fabulous location. 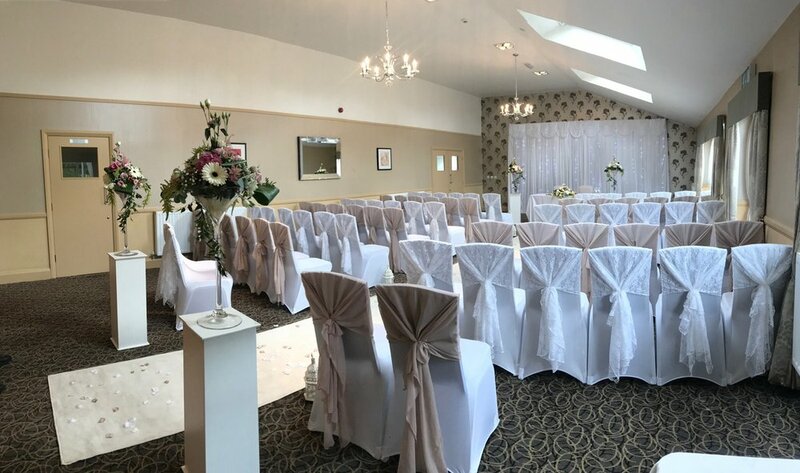 Whether your event is for a Special Birthday Party, Christmas Festivity, Anniversary, a Retirement or Christening celebration this attractive modern venue will suit all your needs. Rooms can be hired with or without a dance floor and for larger groups a marquee can also be incorporated. Delicious food is created by our team to temp all taste buds and there are a range of buffet menu’s to suit various budgets. So from a Platter of Sandwiches to delicious Hot Pot all requirements and styles can be accommodated. Hartford Golf Club also offers a sensitive service for Funeral Receptions and understands what a difficult day this can be. We present a discreet service supporting you and your requirements. Feel free to contact us to discuss. Please feel free to come and visit the clubhouse, view the rooms available and discuss in person your requirements. Exciting Refurbishment Programme Now Confirmed for EARLY 2019. Superb buffet service for Corporate Events tailored to your delegates’ needs.